Interstudio is a Furniture Company that is all about people. Our team and our clients. Our team are our most important asset who are completely focused on ensuring that they respond quickly to providing the best solutions for our clients. We provide furniture that is of the highest quality and unique to the Market whilst still being highly competitive. We are about bringing the Best Designed Furniture to our Clientele. Our Collections are sourced from local Australian Designers and Internationally renowned Designers and Design Companies. Our Portfolio is constantly updated with innovative new collections, materials and finishes. We are also able to provide our clients with customised furniture and joinery solutions. We all recognise these days that we have only one earth and at Interstudio we have not only a strong commitment to sustainable product but it is significant force behind our products. All our timbers products are from FSC Certified timbers, a great number of our products actually carry Sustainable Product Accreditation. We ensure that no toxins are used in any of our product lines. Our Commitment carries through to how we deliver our products, we always ensure that packaging is minimised. Where possible products are blanket wrapped rather than packaged. Where packaging is used we have a policy of recycle and renew. Interstudio has 2 showroom locations – Melbourne and Sydney. Our Showrooms showcase a Selection of our Collections. Featuring international product from Emeco, Actiu, Jonas Ihreborn, Engelbrechts, Flokk, Offecct, Magnus Olesen, By Klip Klap, Skagerak, Frost Design, Prostoria, Pedrali to name a few. Australian Designers such as Matthew Sheargold, Ross Didier, Keith Melbourne, Charles Wilson also feature in our Collections. Interstudio works across the full spectrum of Commercial and Contract Furniture. 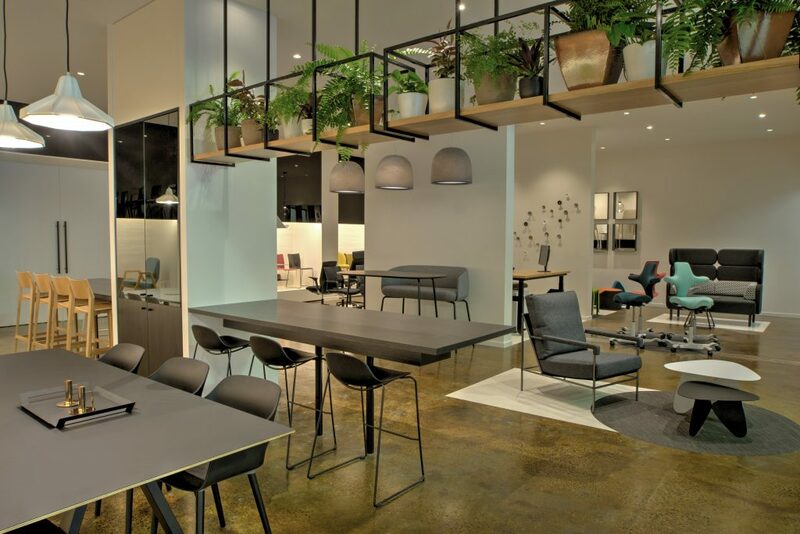 Our fully qualified staff have expertise in Corporate Office Fitout, Hospitality including full room fitout for Hotels, Health and Aged Care and Education. We have worked throughout Australia and overseas including Hong Kong, Laos, Thailand, Canada, New Zealand and Qatar. The Interstudio Team and the Collections that we present are all about finding the best possible Furniture Solutions for our Clients.